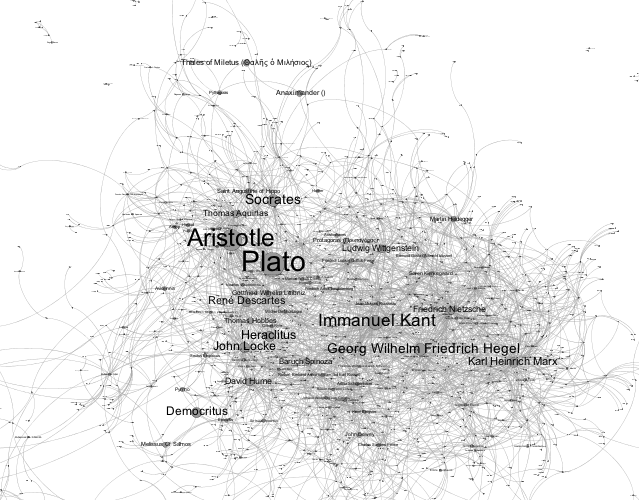 Sometime last week, @mediaczar tipped me off to a neat recipe on the wonderfully named Drunks&Lampposts blog, Graphing the history of philosophy, that uses Gephi to map an influence network in the world of philosophy. 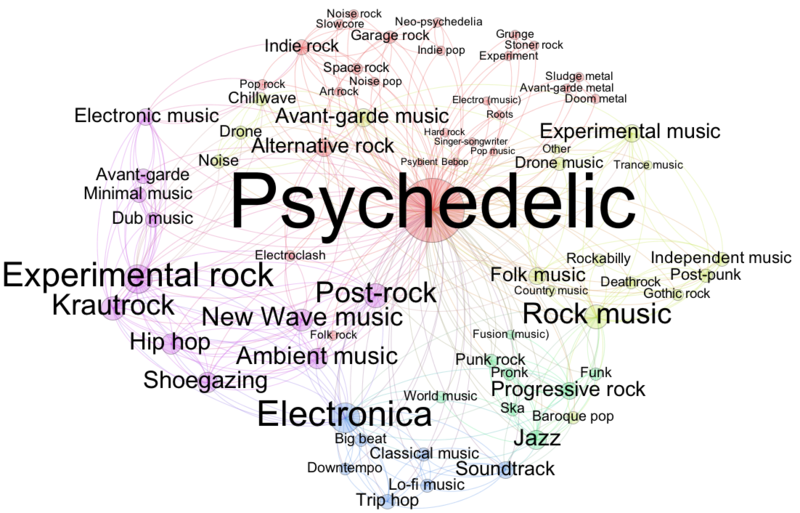 The data is based on the extraction of the “influencedBy” relationship over philosophers referred to in Wikipedia using the machine readable, structured data view of Wikipedia that is DBpedia. – tell Gephi how to create the network we want to visualise from the data returned from DBpedia (in the context of the “Request” configuration). 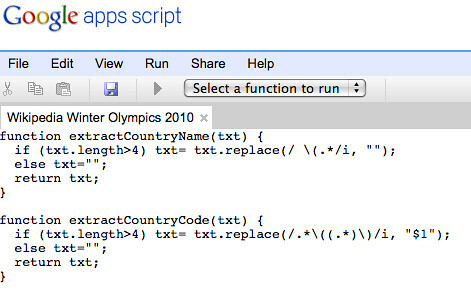 Fortunately, we don’t have to work out how to do this from scratch – from the Semantic Web Import Configuration panel, configure the importer by setting the configuration to DBPediaMovies. This query essentially says: ‘give me all the pairs of people, (?p, ?influenced), where each person ?p is a philosopher, and each person ?influenced is influenced by ?p’. 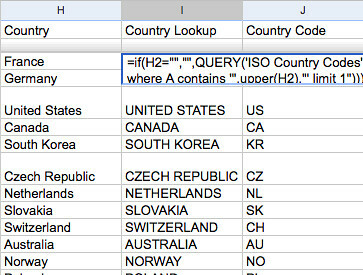 We can replace the WHERE part of the query in the Semantic Web Importer with the WHERE part of this query, but what graph do we want to put together in the CONSTRUCT part of the Request? 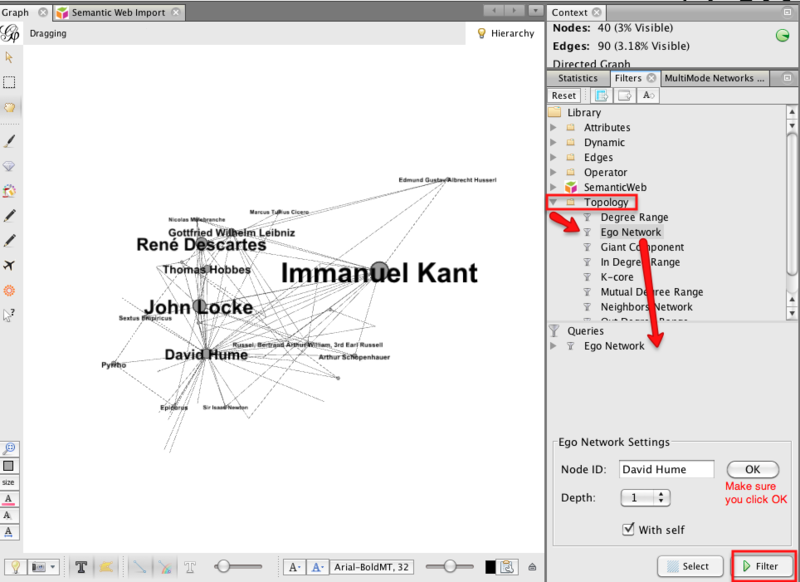 The graph we are going to visualise will have nodes that are philosophers or the people who influenced them. The edges connecting the nodes will represent that one influenced the other, using a directed line (with an arrow) to show that A influenced B, for example. In particular, we see we can get hold of the name of the philosopher using the foaf:name property/relation. If you look back to the original DBpediaMovies example, we can start to pick it apart. 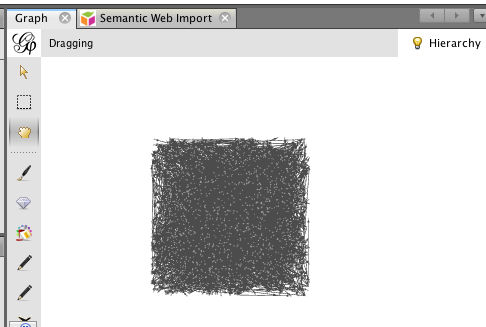 It looks as if there are a set of gephi properties we can use to create our network, including a “label” property. 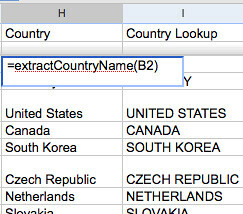 Maybe this will help us label our nodes more clearly, using the actual name of a philosopher for example? You may also notice the declaration of a gephi “prefix”, which appears in various constructions (such as gephi:label). 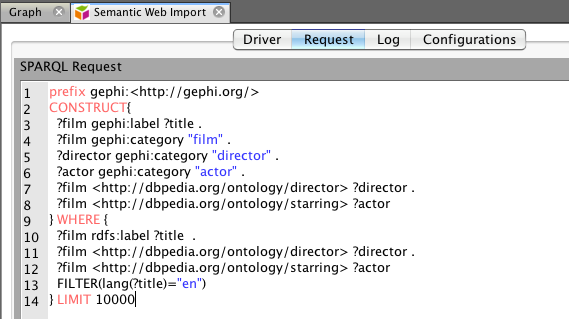 Hmmm.. Maybe gephi:label is to prefix gephi:<http://gephi.org/&gt; as foaf:name is to something? If we do a web search for the phrase foaf:name prefix, we turn up several results that contain the phrase prefix foaf:<http://xmlns.com/foaf/0.1/&gt;, so maybe we need one of those to get the foaf:name out of DBpedia….? We can also do a similar exercise for the person who is influenced. If you’ve already run a query to load in a graph, if you run this query it may appear on top of the previous one, so it’s best to clear the workspace first. 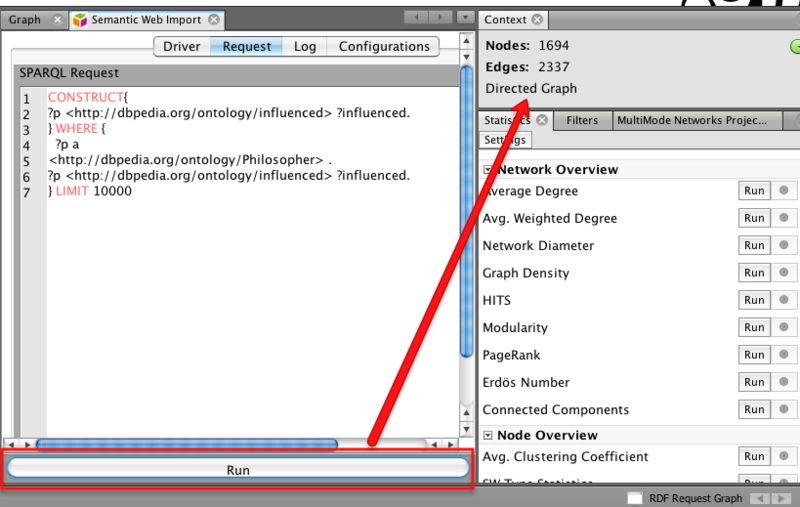 At the bottom right of the screen is a list of workspaces – click on the RDF Request Graph label to pop up a list of workspaces, and close the RDF Request Graph one by clicking on the x. 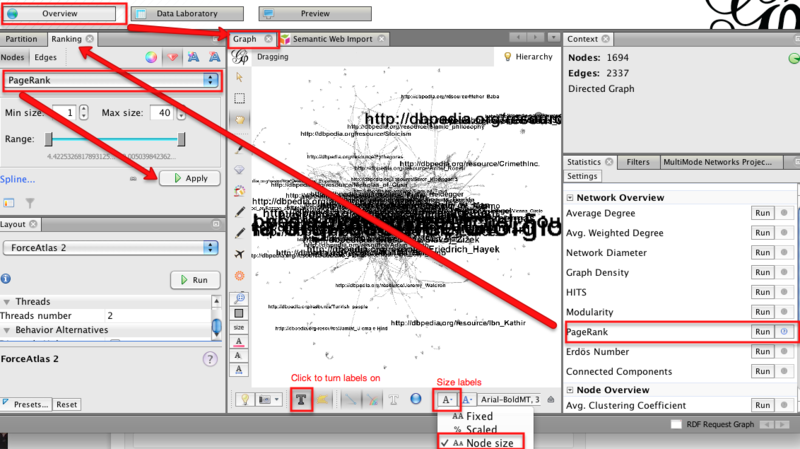 2) figuring out how to get that data into shape for Gephi (the CONSTRUCT part of the request). 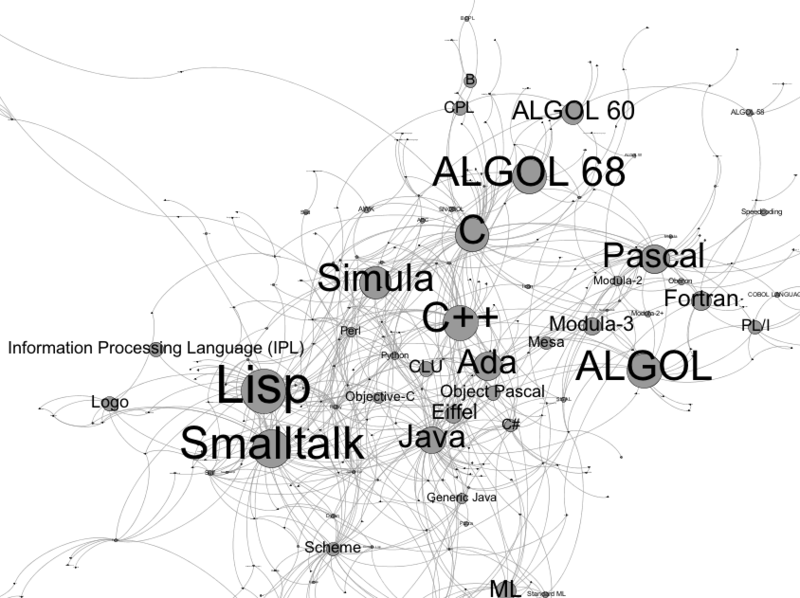 PPS for a generalisation of this approach, and a recipe for finding other DBpedia networks to map, see Mapping How Programming Languages Influenced Each Other According to Wikipedia. 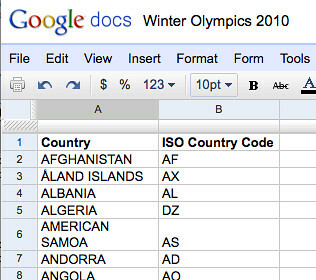 we need to provide two columns of data: an ISO country code and the number value we want to associate with that country code. 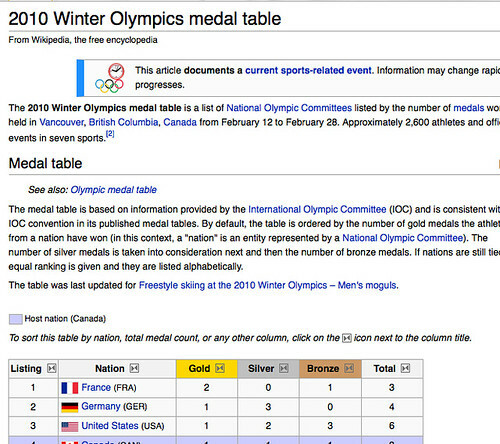 Looking at the medals table we have imported, we see that we have country name and a non-ISO country code. The limit 1 ensures we only return a single result. 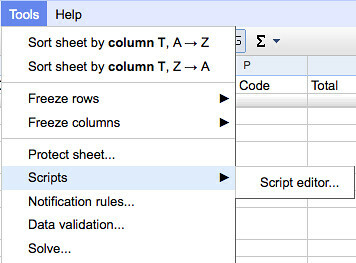 Although there is some latency in the system, as changes are made to the original WIkipedia page, the Google spreadsheet should occasionally check it as and when the spreadsheet – or the heat map – is viewed. 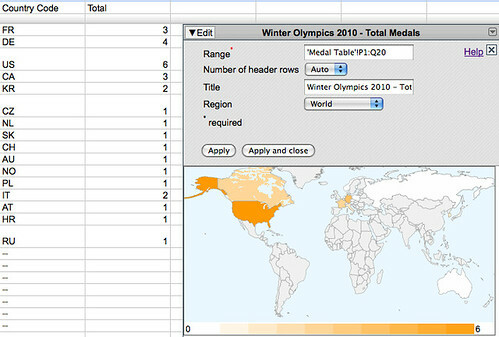 So there you have it, a real time Medal Map, with data pulled into a Google spreadsheet from a Wikipedia page using an importHTML function, tidied using a Google Apps script function, used to key a QUERY in an ISO codes spreadsheet/database, and then rendered via a third party Google gadget.